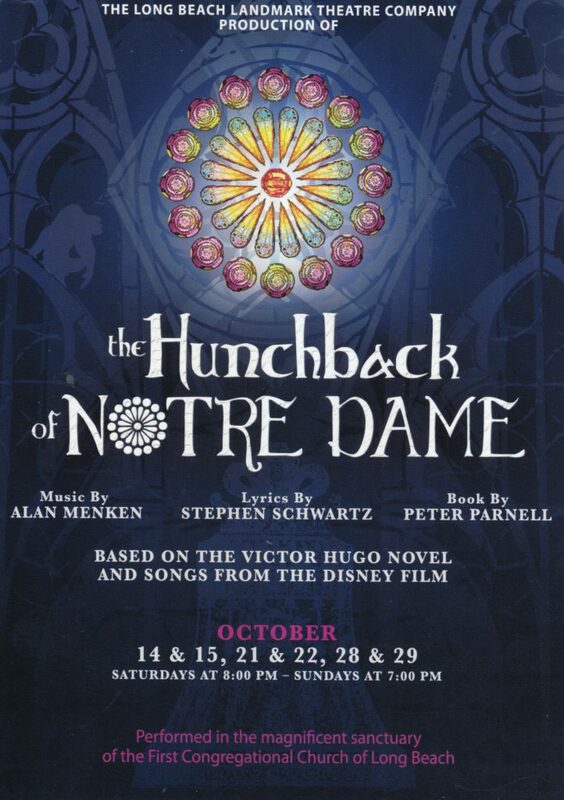 The Hunchback of Notre Dame | Heather R. Chambers, CPA, Inc.
Heather and Tracy will be performing in The Long Beach Landmark Theatre Company’s new production at First Congregational Church of Long Beach in October. Melody and Mike will be cheering them on from the parapet. The Hunchback of Notre Dame transports you to Paris circa 1482, where we meet and follow the tale of Quasimodo, the deformed bell ringer of the Cathedral of Notre Dame. Marrying the epic Victor Hugo novel with the soaring score from the beloved Disney film, this tragic tale of temptation, love and acceptance comes to life within the historic sanctuary of the First Congregational Church in Long Beach with a stellar cast, full choir and 14-piece live orchestra. For more information and to buy tickets visit www.lblandmark.org. Previous PostSocial Security announces its top ten baby name list for 2016Next PostIt’s the 131st anniversary of the hole puncher!